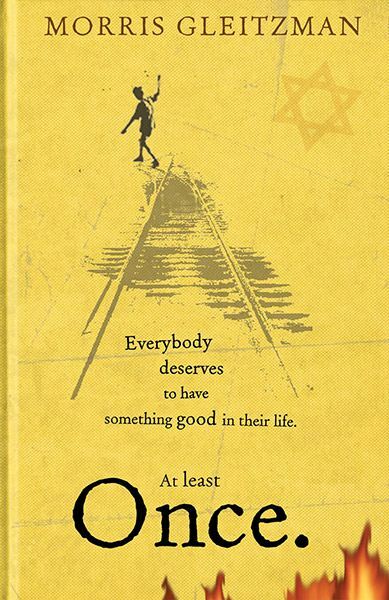 The story of Once, by Morris Gleitzman, tells the tale of a Jewish boy living in Poland around the time of The Holocaust 1939-1945. Felix is an imaginative boy and he is always curious about what’s going on. His parents were booksellers and they were all happy. Unfortunately, at that time The Holocaust began. Felix’s parents left him at a Catholic orphanage when they realised what was going on and the danger involved. For nearly 3 years Felix stayed at the orphanage. He spent that time telling stories of his parents and where they were now and writing them in his notebook . The presence of carrot in his soup made him decide his parents were finally coming back. He left the orphanage and set out across Poland to the city to find his parents. It seems as though the whole book was one of his stories as he was oblivious to the actual massacre that was going on all around him. He thought rivers of blood were rabbits and burning of Jewish books was just unhappy customers. I love the book and hope to read more from that author it the future. The way he wrote the book was amazing and I enjoyed it.